Have you heard the exciting news?! We’ve grown our photography team and now have an Associate Photographer Program with three new associates! Because we are so passionate about our clients getting to know us and vice versa, we’d love to tell you more about them. Meet Alli Alli is married to a boy she went to elementary school with, and together they have two handsome boys ages 5 & 2. She loves photography, crafting, deep fried Oreos, the movie The Holiday, and her puppy, Ace. Alli has photographed over 50 weddings, has a very creative eye, pays attention to those important details, and has the best personality. Meet Kate Kate is married to the love of her life, and together they have two beautiful girls ages 3 & 1. She grew up in Africa as a missionary kid, and her memories of the sunsets there are her most favorite thing. She also loves Turkey Hill’s homemade vanilla ice cream topped with Hershey’s chocolate syrup while watching an action movie or award winning musical. Kate has photographed 23 weddings, has a bold and quite comical personality, and is known for making her couples feel at ease. Meet Heidi Heidi is married and has a sweet two year old daughter. She and her family live on their own little piece of heaven in the woods and have two pygmy goats and a yellow lab. They are huge animal lovers! She is a serious taco fanatic (with lots of guac), loves to run, and has an entire room in her house dedicated to crafting. Heidi has photographed 15 weddings, is passionate about delivering high-quality work, and has tremendous people skills. 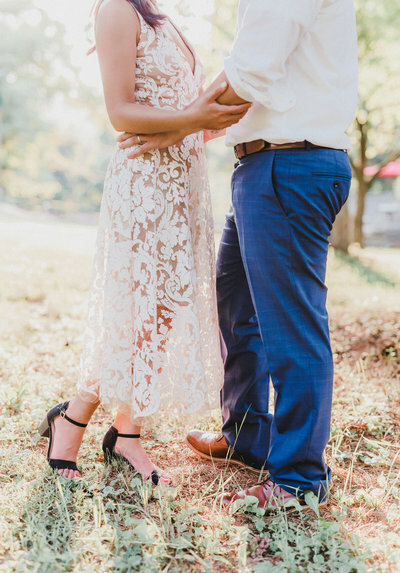 Our Associate Photographer Program is for couples who love the services we offer as well as our signature style, but can’t quite justify spending $3,000+ on their wedding photography. The program is also for couples whose date Tracey is already booked for. When you book one of our associate collections, you’ll be working with either Alli, Kate, or Heidi, all of whom have a similar photography style to Tracey. All of your preparation (day-of timeline, contracts, invoices, etc. ), photo editing, and product ordering will be done through Soul Focus Media. We really can’t wait to hear from you! Let’s chat over coffee/tea & donuts. It’s on us!